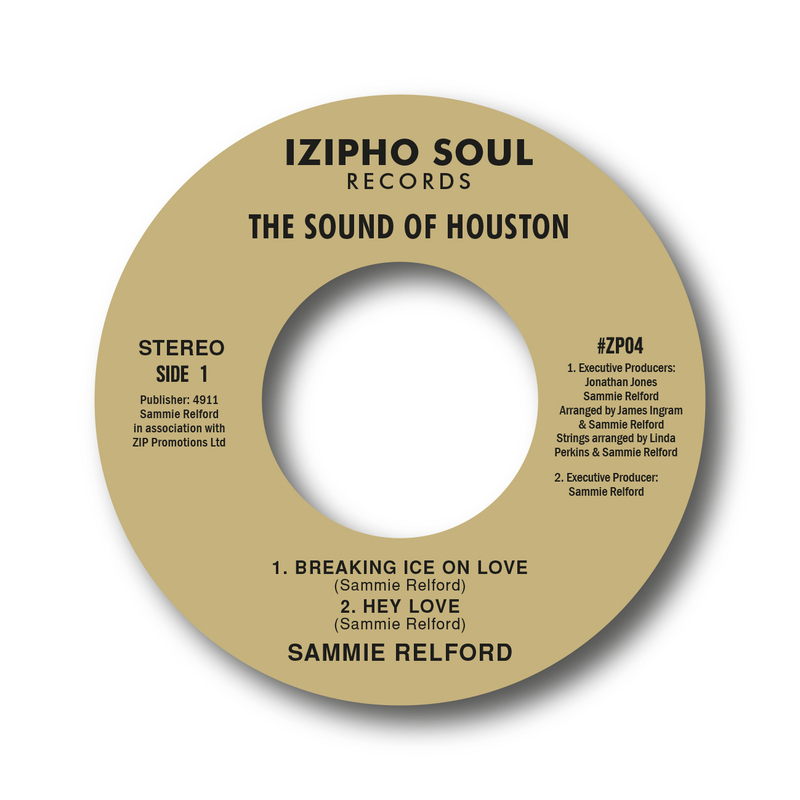 Houston Soul Legend Sammie Relford is back on vinyl! Sammie Relford’s forthcoming 7” single is a 3 tracker. First up is ‘Breaking Ice On Love’, a 70’s dancer with real pedigree and impossible to find on original. Secondly, ‘Hey Love’, the choice cut from Sammie’s 1979 LP ‘We Are Stronger Together’ and on a 45 for the first time. Flip it over for a brand new track ‘Hook Me Up’ a sensuous soulful stepper, recorded specially for this project. The record 45 will be released on 1st week of October at £12. To use Sammie’s expression – This is MUSICAL DOPE! Sammie Relford grew up in Houston’s Sunset Heights neighborhood and got his first taste of fame by entertaining his elementary-school classmates at performances called “Mayfates,” where each classroom would put together a talent show. But even before that he would mimic the spirituals he heard his mother singing; that gave him his first clueabout his destiny. Sammie used to wait up at nights for his older sisters to make them re-enact their routines from various talent nights in local clubs, by his teens he himself was singing with various groups and had long learned James Brown’s famous “cape” act by heart. He loved the sound coming out of Memphis and travelled to Stax studios after finding the address on an Isaac Hayes album; Hayes’s road manager agreed to give him an audition, by the time he was done, Black Moses himself was in the room! Sammie subsequently ended up touring with Isaac Hayes, singing background vocals over a three year period from The Apollo Theater to The Forum in Los Angeles to The Cow Place in San Francisco. He also toured with the legendary Joe Tex and former Temptation Ali-Ollie Woodson. Returning to Houston, Sammie resumed singing in local clubs, enjoying a long run as one of the city’s most recognizable and popular entertainers. Fast forward to October 2017 and Sammie is back on vinyl with a brand new track and reissues of two of his most desirable songs.